Overcrowded tiny island. 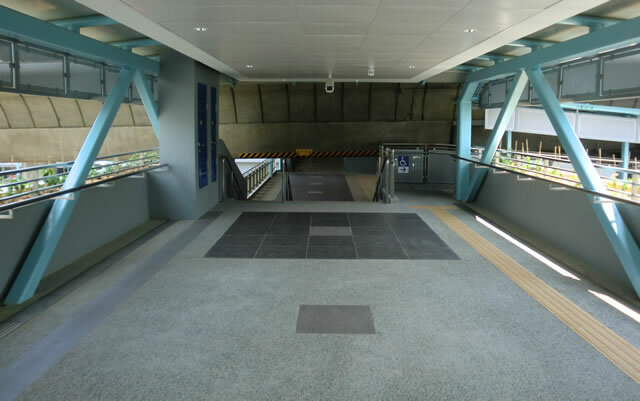 Construction for an extra entrance/exit for Clementi station has just completed. There are other stations along the line like Commonwealth station with this addition as well. Oh gosh! It took at least 15 months. I just took the completed photo & went back searching for the early construction photo & found the picture file dated back to June 2014. At least 15 months to be done up for for this simple addition compared to 4 years for 2 super expensive casinos to be completed. Clearly the completion time ratio of the 2 indicate the hybrid regime does not consider it an urgent task to relieve the peak hours congestion. With the frequent breakdowns & clusterfucks going on, the hybrid regime has to sacrifice the transport minister(sacked) in addition to gerrymandering the constituency he is in for the upcoming election scheduled to be held in slightly less than 2 weeks time. 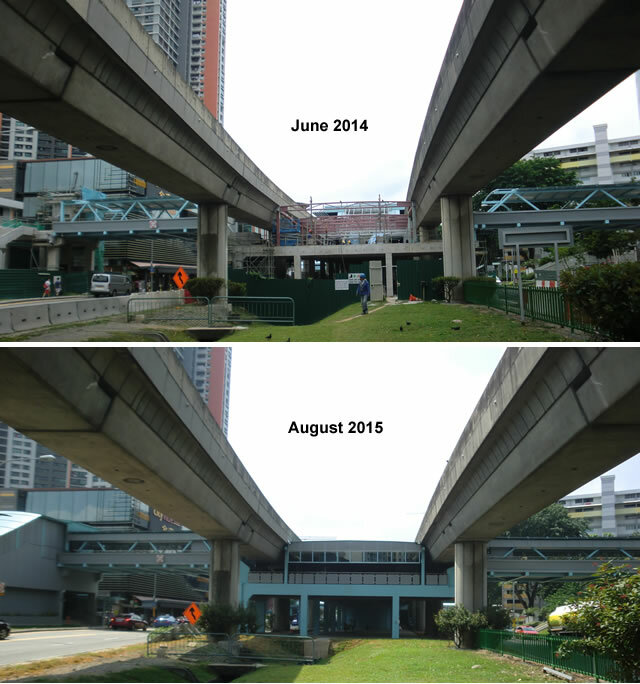 The green patch of grass parallel to the road has been sacrificed for the building of the extra bridge linkway. 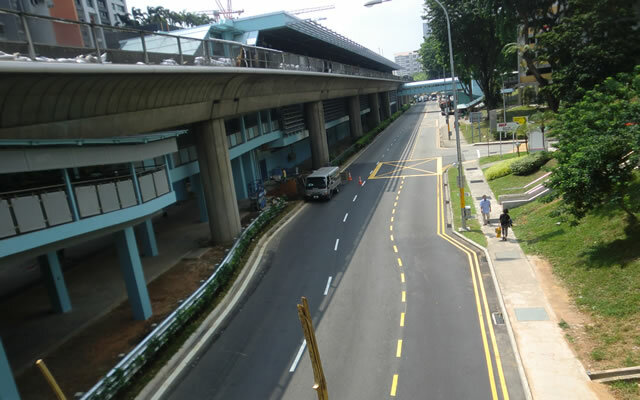 Notice the road curving to the right. Ramp on the left is for the wheelchair disabled/ babies on prams. Notice the other bridge linkway further up ahead. The bridge has to be high enough for double decker buses to pass under. Then peasants have to walk just under the elevated train track on the bridge linkway to the extra entrance/exit. You can see a security camera on the ceiling. Monitor traffic. Detect/deter terrorist? There are plenty targets of opportunity such as infested shopping mall. A determined suicide bomber terrorist can detonate himself/herself on the moving train, blow up a supporting track column or just blow him/herself up on the stairs under the elevated track. Is a waste spending excessively on defense. A smart enemy would utilize asymmetrical/unconventional methods to cause damage/cripple infrastructure. Why play by the rules of the much richer opponent? The sept 11th 2001 event showed the world how terrorists used 2 hijacked airliners as flying missiles.